You are here: Home » Blog » Guidance and Advice » Fire extinguisher inspection – a brief outline of responsibilities. Fire extinguisher inspection – a brief outline of responsibilities. Inspect fire extinguishers visually at least once a month. 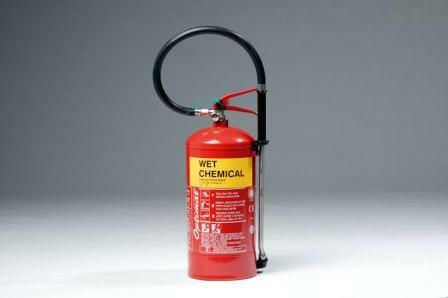 Fire extinguishers must be maintained by a suitably experienced and qualified service technician annually. Staff should not use fire extinguishers unless they have received fire training. Fire extinguisher maintenance is important for everyone’s safety. The extinguisher is not blocked by equipment, coats or other objects that could interfere with access in an emergency. The extinguisher should be visible at all times. The pressure is at the recommended level. On extinguishers equipped with a gauge the needle should be in the green zone – not too high and not too low. The nozzle or other parts are not hindered in any way and stowed correctly. There are no dents, leaks, rust, chemical deposits and/or other signs of abuse/wear. Wipe off any corrosive chemicals, oil, gunk etc. that may have deposited on the extinguisher. The extinguisher ID and information sign is above the extinguisher on the wall and the fire extinguisher and sign coincide with each other. Some manufacturers recommend shaking your dry chemical extinguishers once a month to prevent the powder from settling/packing. If the extinguisher is damaged or needs recharging, replace it immediately! IMPORTANT: Recharge all extinguishers immediately after use regardless of how much they were used. What is the difference between a fire extinguisher inspection and fire extinguisher maintenance? An inspection is a “quick check” to give reasonable assurance that a fire extinguisher is available, fully charged and operable. The value of an inspection lies in the frequency, regularity, and thoroughness with which it is conducted. The frequency will vary from hourly to monthly, based on the needs of the situation. Inspections should always be conducted when extinguishers are initially placed in service and thereafter at monthly intervals. Fire extinguishers should be maintained at regular intervals (at least once a year), or when specifically indicated by an inspection. Maintenance is a “thorough check” of the extinguisher. It is intended to give maximum assurance that an extinguisher will operate effectively and safely. It includes a thorough examination and any necessary repair, recharging or replacement. It will normally reveal the need for hydrostatic testing of an extinguisher. If you have any questions then please do not hessitate to contact us for advice. Please click here to contact us or call us on 01415612735 for an informal chat. This entry was posted in Guidance and Advice and tagged fire extinguisher, glasgow, inspection, maintenance, servicing, types. Bookmark the permalink.